Around five years ago a book that I love was made into a $200million movie that I hate. While I wouldn’t go as far as to say I love Suzanne Collins’s Hunger Games Books but I do like them and hope they don’t go the way of The Golden Compass the mess that was made of Northern Lights, the first part of Philip Pullman’s “His Dark Materials” trilogy. In a dystopian future version of the United States, the country of Panem is split into twelve districts whose only purpose is to serve the people of the decadent capitol. 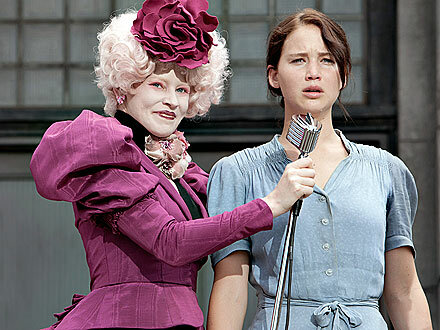 In response to an uprising many years before, each year, two young people from every district are chosen to for the Hunger Games, a televised fight to the death. When her sister is chosen, Katniss Everdeen (Jennifer Lawrence) volunteers to take her place, and is sent to the capital along with her and fellow District 12 “tribute” Peeta Mellark (Josh Hutcherson). The skills Katnis has learnt as a hunter and poacher may be the thing that keeps her alive in the games. A faithful and loving adaptation that successfully traverses the tightrope of what to cut and what to include. But it takes more than being faithful, it needs to be good, and The Hunger Games is very good. It is most likely helped by the fact that original author Suzanne Collins is amongst the script writers. The greatest challenge is how to adapt the first person narration of the novel to something more cinematic. This is achieved effortlessly with the addition of a pair of commentators (Stanley Tucci and Toby Jones) who provide exposition and explanation for those who haven’t read the books. The casting is perfect; it is possibly because of the parallels with Ree Dolly, her character from Winter’s Bone but I can’t think of anyone other than Jennifer Lawrence who could have played Katniss. But it goes beyond that, Stanley Tucci, Liam Hemsworth, Elizabeth Banks, Donald Sutherland and Paula Malcomson (who was great in Deadwood) are all perfect. I struggled to imagine Woody Harrelson as Haymitch, but as always with Harrelson he pulls it off. But as with the book it is all about Katniss, Lawrence’s performance is note perfect showing fear and emotion as a reluctant hero. The filmmakers aren’t afraid to make our heroine socially awkward and sometimes cold and distant. It is this that humanises the character making her more likeable. A film about kids killing each other in was never going without violence and it is very much in evidence but a 12A (PG13 in America) certificate is needed for the target audience. This is achieved by not showing the audience quite as much as we think we are seeing, it is a tried and trusted and surprisingly effective trick. Coupled with a minimum use of blood it works and the movie gets a teenage friendly rating without feeling watered down. There are couple of pacing issues, there is a lot to fit in and it does rush through parts of the story then sags a little in the middle, but this is quickly forgotten when the games begin. When it comes, the action is well constructed and paced but not as plentiful as the trailer would have you believe. It is a surprisingly thoughtful movie spending little time talking about the immorality and unfairness of the class structure leaving the audience to draw its own conclusions. A resounding success that is better than the first two Harry Potter movies and all the Twilight adaptations to date. A film that should satisfy fans of the books and newcomers alike. With a budget of around $100million the movie needs to be a financial success for parts two and three to be made. 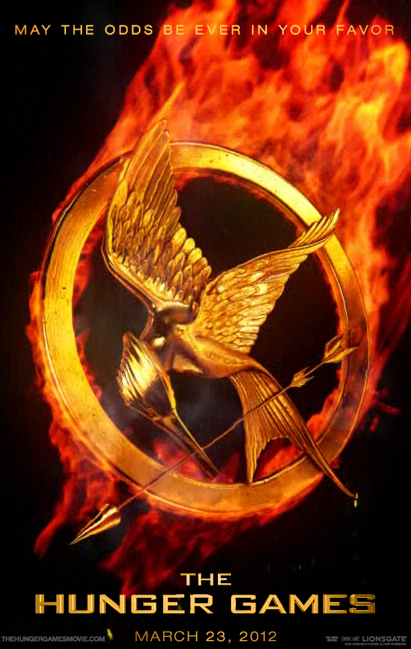 With an opening weekend that could exceed £200million (worldwide) it’s a safe bet that we will be seing Catching Fire and Mockingjay in the next few years. My only fear, the first was by far the strongest of the books with the last been the weakest. To create a successful and memorable trilogy they are going to have to get creative with the script and possible invest a bit more money on the effects for parts two and three.